The next treat I have for your caroling consumption is similar to an Old Fashioned but not as sweet. It grows on your palate as the flavors blend and the oils seep from the orange peel, the last sip will be the best and leave you wanting more. The Whiskey Cobra is another recent revelation originating in 2007at the Cambon Bar. The Cambon Bar resides near the back door of the Ritz in Paris. As mentioned earlier, I spent some time enjoying the cocktails of the Bar Hemingway recently, and Colin Field introduced this drink to me. It is named after the Bell 209/AH-1W Super Cobra attack helicopter. Start by carefully peeling a mandarin orange so that the peel resembles a cobra. I find it easiest to start by cutting around the end of the orange in a circle, but stopping before finishing the circle and then peeling around the orange to create the body and tail. Place the peel in the glass tail first so that the head protrudes above the age of rim of the glass. Squeeze the juice of the orange into the glass; add four drops of Angostura bitters. 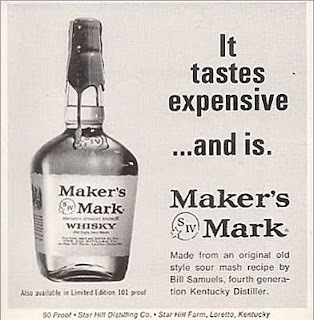 Fill the glass half full of bourbon, I suggest Marker's Mark, and stir. Fill the glass with ice and serve with the cobra facing outward. Peel the orange in the shape of a cobra, place in an empty old fashioned glass tail first. Add the juice of the orange, the bitter and bourbon. Stir well and fill with ice.